This level have normal difficulty and you need to play with striped candy or other special candy combo with striped candy for this level. 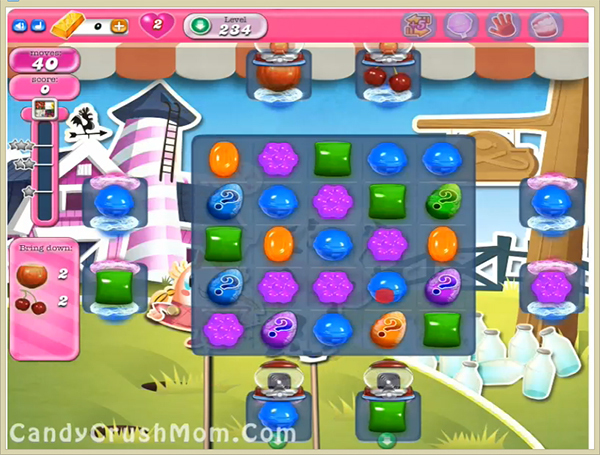 For this level you should try to make striped candy and break horizontally to break top single candy so ingredients could move and come to bottom. You could make wrapped candy with striped candy from this board easily that will help to break easily single candies on the board. We completed this level with 104780 score using striped candy plus striped candy with wrapped candy to complete this level with three star score.